Apathetic analysis of foreign bond markets would have investors believe that US Treasury yields are attractive globally due to the wide differential between nominal US Treasury yields and global developed market yields. 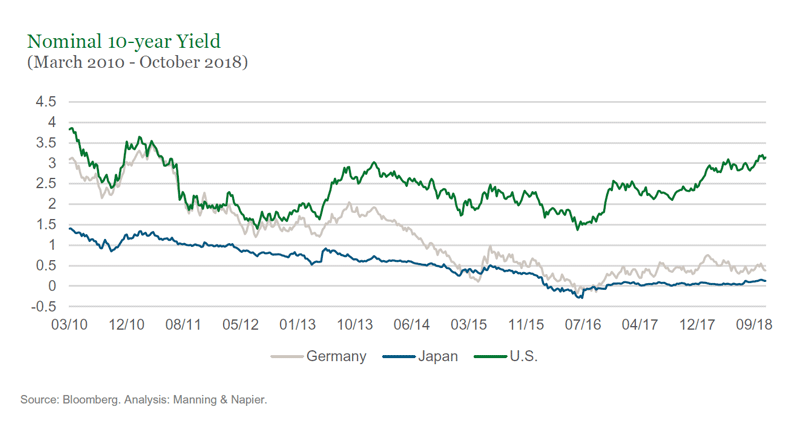 While it is true that nominal US Treasury yields are near their highest levels compared to German Bund yields and Japanese Government bond yields, a deeper analysis is warranted to determine the value of global yields. The majority of investors looking to purchase foreign bonds, like Japanese pension funds and Middle East or Nordic sovereign wealth funds, hedge their foreign currency risk in foreign bonds due to the volatile and unpredictable nature of foreign exchange. 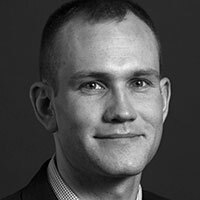 The average absolute move in currencies over a one year time period can more than offset any yield advantage a foreign bond holder is seeking if they do not hedge their foreign currency risk. This foreign exchange risk makes asset-liability matching more difficult. The cost to hedge foreign currencies is determined by interest rate parity. Interest rate parity argues that market participants cannot earn a better risk free yield in a foreign risk free rate by hedging foreign exchange risk. Typically, investors use monthly forward contracts to hedge foreign exchange risk such that interest rate differentials on the short end of the yield curve determine the forward FX rate of the hedge. The currency with the higher interest rate will trade at a discount in the forward market to satisfy interest rate parity rules. As the Federal Reserve has raised short term interest rates over the past 2.5 years, the cost to hedge FX risk for foreign investors outside the US has subsequently increased with the Bank of Japan and European Central Bank having held short rates at all-time lows. This has caused the cost of the hedge for foreign investors in US Treasuries to increase proportionately with the increase in short-term US interest rates and has actually created a situation whereby European investors, who hedge their FX risk, lose the yield advantage they would get from investing in US Treasury yields. 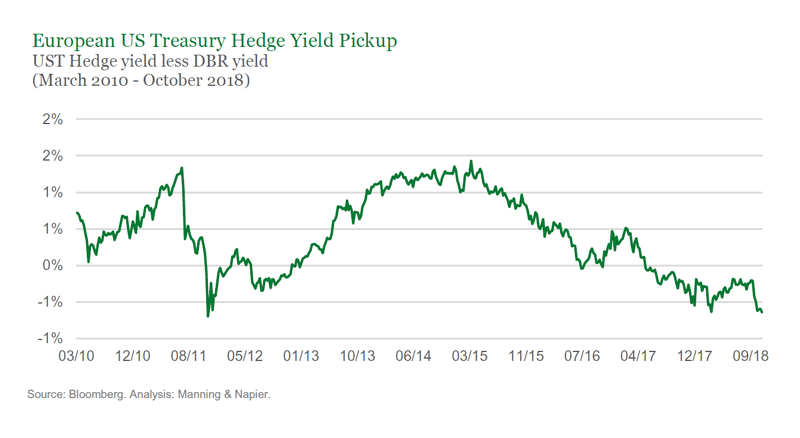 Therefore, when taking the cost to hedge FX risk for foreign investors in US Treasury yields into account, US Treasuries are actually unattractive to European investors who are looking for a yield pickup. We continue to see an opportunity for US yields to be pushed higher as global term premiums increase and global central banks step away from ultra-accommodative monetary policy.